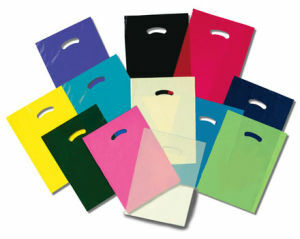 White, Super Gloss Merchandise Bags, 15" x 18" + 4"
Dimensions: 15" x 18" + 4"
Black, Super Gloss Merchandise Bags, 9" x 12"
White, Super Gloss Merchandise Bags, 9" x 12"
Black, Super Gloss Merchandise Bags, 15" x 18" + 4"
White, Super Gloss Merchandise Bags, 12" x 15"
Black, Super Gloss Merchandise Bags, 12" x 15"
Citrus Green, Super Gloss Merchandise Bags, 15" x 18" + 4"
Teal, Super Gloss Merchandise Bags, 15" x 18" + 4"
Black, Super Gloss Merchandise Bags, 20" x 20" + 5"
Teal, Super Gloss Merchandise Bags, 9" x 12"
Purple, Super Gloss Merchandise Bags, 15" x 18" + 4"
Citrus Green, Super Gloss Merchandise Bags, 9" x 12"
Purple, Super Gloss Merchandise Bags, 9" x 12"
Royal Blue, Super Gloss Merchandise Bags, 15" x 18" + 4"
Navy Blue, Super Gloss Merchandise Bags, 15" x 18" + 4"
Purple, Super Gloss Merchandise Bags, 12" x 15"
Teal, Super Gloss Merchandise Bags, 12" x 15"
Citrus Green, Super Gloss Merchandise Bags, 12" x 15"
Royal Blue, Super Gloss Merchandise Bags, 12" x 15"
White, Super Gloss Merchandise Bags, 20" x 20" + 5"
Navy Blue, Super Gloss Merchandise Bags, 9" x 12"
Royal Blue, Super Gloss Merchandise Bags, 9" x 12"
Navy Blue, Super Gloss Merchandise Bags, 12" x 15"
Clear, Super Gloss Merchandise Bags, 9" x 12"
Teal, Super Gloss Merchandise Bags, 20" x 20" + 5"
White, Super Gloss Merchandise Bags, 24" x 24" + 5"
Dimensions: 24" x 24" + 5"
White, Medium Gloss Heavy Duty Merchandise Bags, 9" x 12"
Clear, Super Gloss Merchandise Bags, 15" x 18" + 4"
Magenta, Super Gloss Merchandise Bags, 15" x 18" + 4"
Send your shoppers home with a high quality and unique merchandise bag. Low Density Merchandise bags not only have a classy gloss feel, but are also strong and durable.These merchandise bags are able to hold anything from t-shirts, coffee mugs, books and more! Use this merchandise bag in your gift shop, sporting good store, gallery studio, and other retail stores. These plastic merchandise bags are made with 20% to 45% recycled material consisting of a combination of post industrial and post consumer resins with a minimum of 5% post consumer recycled (PCR). Made in the U.S.A. We offer this bag in 7 sizes and 10+ different colors. If you would like to customize your Low Density Merchandise bags or speak to a Product Expert, please contact American Retail Supply at 1-800-426-5708.